B.C. RCMP Insp. Tim Shields says he "denies each and every allegation" contained in a civil lawsuit brought by a former civilian co-worker who is accusing him of sexual harassment. B.C. 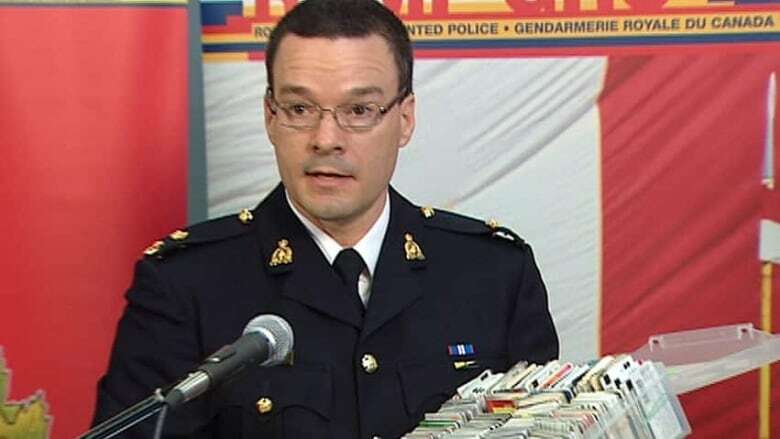 RCMP Inspector Tim Shields denies any wrongdoing in a formal response filed in B.C. Supreme Court to sexual harassment allegations. B.C. RCMP Insp. Tim Shields says he "denies each and every allegation" contained in a civil lawsuit brought by former civilian co-worker Atoya Montague, who is accusing him of sexual harassment. Shields makes the statement in a formal response to allegations Montague has filed in B.C. Supreme Court. In his 18 years as an RCMP officer, Shields outlines his exemplary police career including multiple awards for selfless service and thousands of media interviews that made him the public face of the RCMP in B.C. Shields argues the allegations have garnered significant attention and seriously damaged his reputation and career. Shields also denies exposing himself to Montague or issuing a sexual invitation during a 2003 trip to Kamloops to deliver supplies to wildfire victims. His formal response says a fellow RCMP officer in a second truck full of supplies followed closely behind his vehicle during the entire trip, and Montague spent much of the trip in a phone conversation with the second officer who noticed nothing unusual during the drive or after it. Shields says he and Montague did share intimate personal information during the trip, but the discussion was mutual and consensual. In 2010, Shields says Montague was captured in a photograph making sexual remarks and jokes about her breasts to co-workers. He also quotes a glowing farewell note Montague wrote after she claims Shields harassed her. In the note, she called him a "constant source of support." In his statement, Shields says Montague refused to testify in August 2013 to an internal RCMP Code of Conduct investigation into her allegations. Shields was subsequently cleared of wrongdoing. Shields faces a second civil suit also alleging sexual harassment and assault of another civilian member of the force. In a statement provided by his lawyer to CBC News, Shields denies the second claim filed by Anitra Singh. It says Singh was a friend of Montague when she went on leave two years ago. "He denies harassing or committing any wrongdoing against Ms. Singh, and intends to also fully defend himself in these proceedings," says the statement from his lawyer. "We are confident that these allegations will prove to be unfounded and that Inspector Shields will clear his name.